Generating traffic at your trade show or special event can be a challenge. Don't let it be. Instead offer a challenge. A putting challenge. 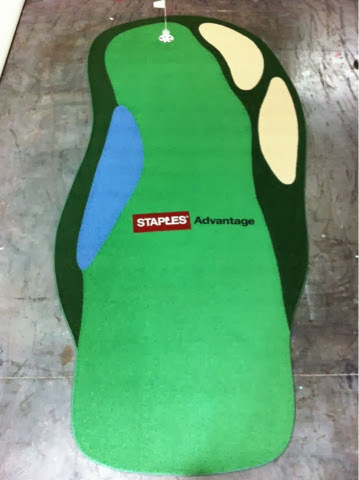 I can provide you with an indoor putting green with company logo. Hand your attendees a putter and a couple of balls and invite them to sink some putts allowing you ample time to do your thing by promoting your company or products. Taylor the challenge to provide adequate time with each attendee. More examples of my logo putting greens can be found at www.stevelaporte.com and click on the "logo" tab in the navigation bar.